I have never done a favorites post so when I started this I got a little overwhelmed by all the things I wanted to mention. 2014 was a year of trying lots and lots of new products. And today I want to share the ones I loved with you. I will split my posts up into categories so I will be able to keep it short. 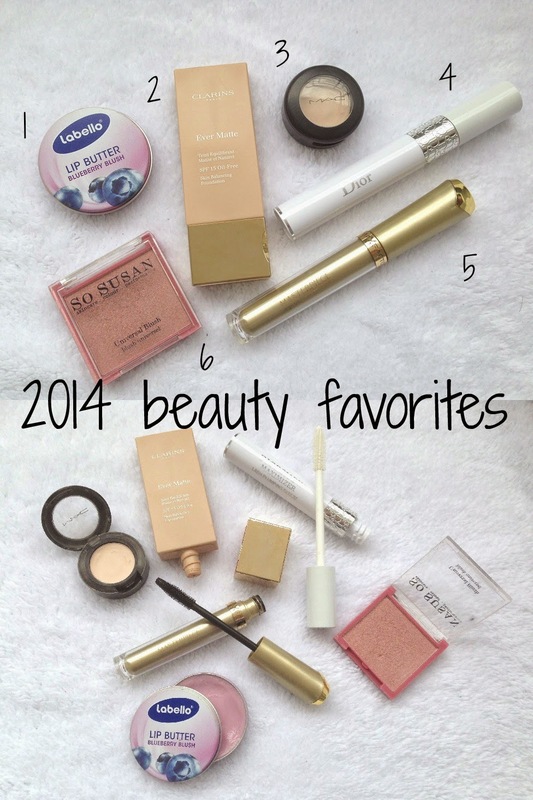 This post will be all about the beauty products I loved in 2014. I admit it, I am a chapstick kind of girl.. When I came across the Labello lip butter I was very skeptical because I hate to dip my finger into a lip product, apply it and then being left with the access product with nowhere to put it. Gross and annoying! But magically I love this product so much that I manage to deal with the "inconvenience" that comes with it. In 2014 I disvovered Clarins. Not that I didn't know it existed, I just never cared. After trying their skincare, I took a look at their make up products and fell in love with this foundation. It is semi mattifying and matches my skintone perfectly. The only weird thing was that 108 sand was lighter than 107 light... Or maybe it is more yellow toned what suits me better.. It is light to medium coverage, looks beautyful on the skind and doesn't go anywhere during the day. I do get a little oily at the end of the day but that is due to my oily skin. I haven't found a foundation that kept me matt all day long yet. This is the most used and loved basic color I own. I've had it for years now but in 2014 I started using blanc type not only as an eye shadow base but also as a sort of highlighter/concealer. Don’t get me wrong, it doesn’t set a sparkly or even shiny highlight, but it is the perfect shade for highlighting and concealing darker areas around my eyes. I put it in the inner corner, all over my lid, up to my brow bone, under my lower lash line and especially on the dark spots underneath my eyes that other people highlight with concealer. The difference is that it never ever creases. WIN! I got this as a very fancy birthday gift in April and really liked it ever since. It makes my lashes thicker, seperates them perfectly and they ready for mascara. I don’t let it dry too long because than it’s very hard to apply mascara on top. Also it probably doesn’t need to be Dior. ;) But I have to say the quality of the product is amazing! It works just as it did when I got it and didn’t go dry or clumpy or anything at all. After doing a post on disappointing mascaras I found one that I love. At the moment I even like it better than The Rocket from Maybelline because the brush is smaller and reaches every little lash. It also is the only mascara I repurchased this year, I believe. When I first got this blush in my Glossybox I didn’t like it at all. Well, I did like the beautyful rosy color but the slight sheen it gives made me very uncomfortable putting it on my cheeks. I am all about a matt finish, so I was scared that it would look weird on me, make my pores look huge and my face look oily. After not touching it for weeks, I finally did end up trying it as an eye shadow and started to like it more. Than I got over myself and tried it as a blush and I have to admit now I really really like it. It is a gorgeous color and gives me a slight and subtle glow which now I love. 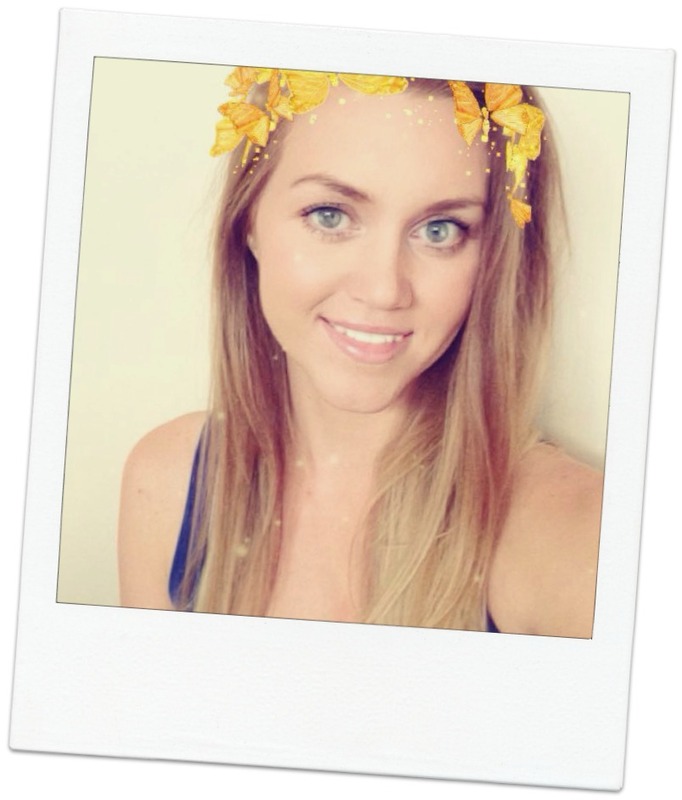 This were all my favorite beauty products for 2014. What were yours? Let me know and maybe you'll lead me to my favorite beauty product of 2015. I've never heard of Jelly Pong Pong. :) But I guess, I should do some research on it. I would LOVE to get my hands on the Too Faced Chocolate Bar Palette!! Sadly that always includes a lot of shipping costs.. Thank you so much for your tips, I will definetly keep them in mind.